This is my favorite Ramadhan appetizer–I can actually have this for a meal EVERYDAY. They are absolutely delicious. 4 boiled patatoes (make sure you boil them in with their skin still on, and mash them well while they are still hot). Mix half of the tumeric powder with the mashed patatoes and add salt to taste. Mix well. To make the filling, place a frying pan over medium heat and sautee the ground beef until browned. Add the all the spices and the garlic and let sautee for 2 minutes. Add the onions, jalapeno and cilantro and mix well. turn off the heat. To make the katless, take half a cup of the mashed patato mixture and make into a patty–then with your fingers make a dent in the middle and place some of the ground beef mixture. Then slowly roll into a ball, and gently press between the palms of tyour hands. Make sure the surface is CRACK-FREE or else it will fall apart while frying. Dip the Katless in the egg mixture and cover with the breadcrumbs.Heat some oil, just enough to reach up to half way of the katless. This is a not a deep fried appetizer.Fry on both sdes until nice and golden brown and serve hot. Note: you can use any filling you like–I sometimes make it with tuna, ground chicken, and even with my favorite cheese. Wa Alaikum Assalaam — probably the source is Indian. Only had it in Aden. Don’t know about other parts in Yemen where it is made. Salam…wanted to make some of these and store for daily eating. How to these store in freezer pre-made? These cannot be frozen. Since it potatoes, it will crumble after thawing. I make some for two days, max, and then store in refrigerator and fry. But not more than that. They go bad very quick and do not freeze at all. Assalam aleikum sister! 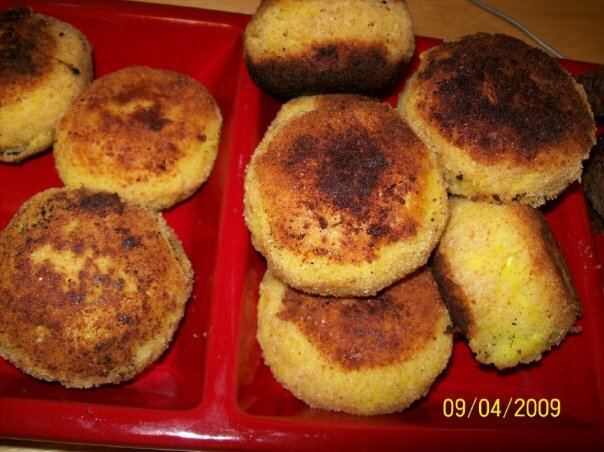 These katlets were delicious, everyone liked it, jazaki Allah kheir for the recipe. Alhamdulilah. Wa Iyaki. Jazaki Allah khayr for letting me know.